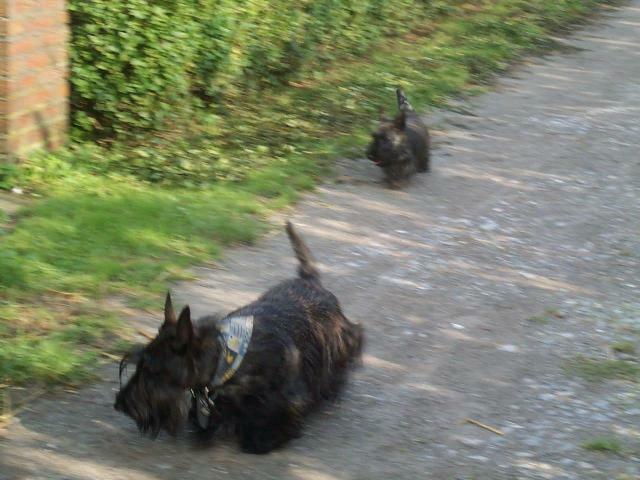 The Scottish Terrier is a small, short legged canine that is very strong despite its small stature. The dogs skull and muzzle are long and rather blockish, and of medium width. The ears are small and sharp, and prick up when the animal is excited. 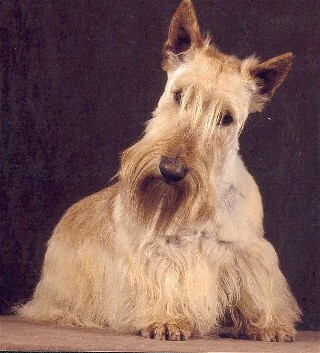 The Scottish Terriers expression is thoughtful and almost philosophical, with the dogs eyebrows and distinctive beard adding to this impression. Dark brown or black almond-shaped eyes tend to be well hidden beneath the dogs protruding brow. 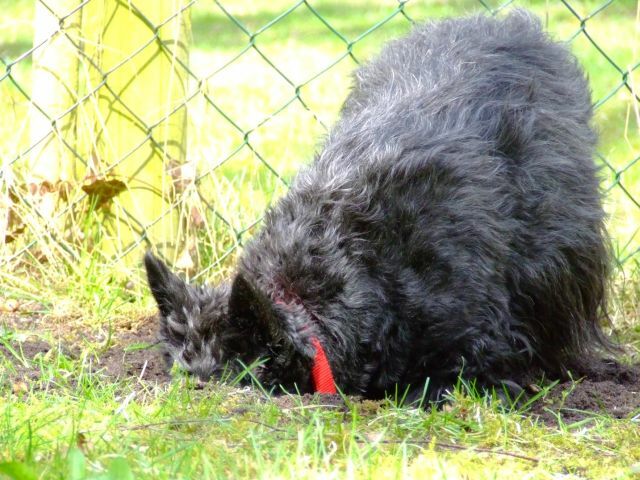 The neck is thick and muscular, as is much of the dogs body; the overall look of a Scottish Terrier should bring to mind a well developed and very heavy-boned dog that packs a lot of power into a small package. The tail is about 7 long and carried either straight or with a slight bend. The dog is protected from harsh weather conditions by a soft undercoat that is covered with a bristled and hard outer coat. 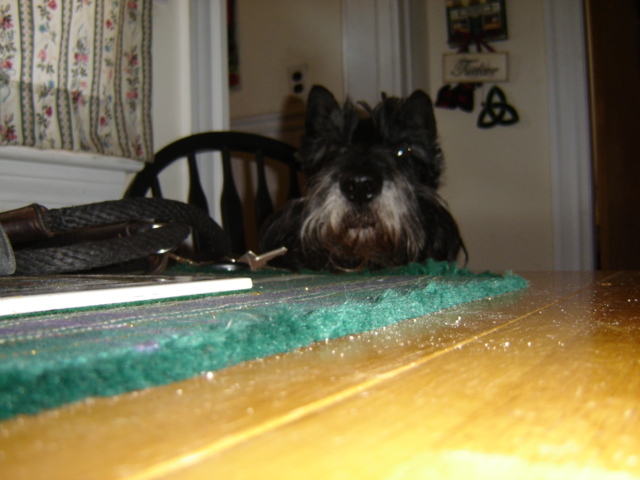 Most often the dogs coat is black, but the coat can also be wheaten or brindle in color. 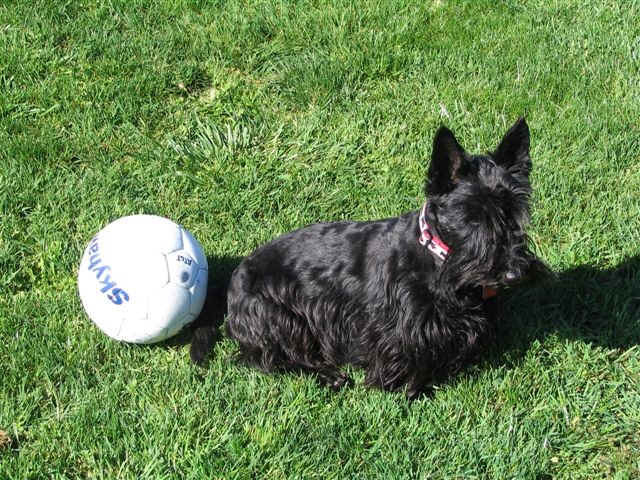 Common Misspellings Scottish Tarier, Scottish Terier, Scotish Terrier, Scottesh Terrier or Scotesh Terrier. 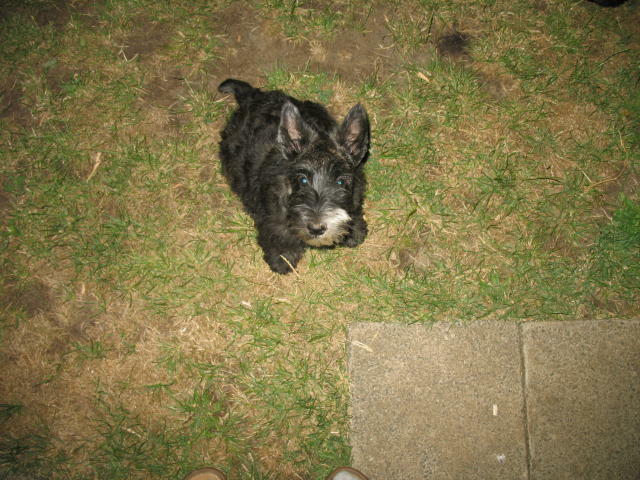 As a puppy the Scotty is playful and friendly to all; as an adult, the dog tends to be a little more reserved but keeps its spunky attitude. 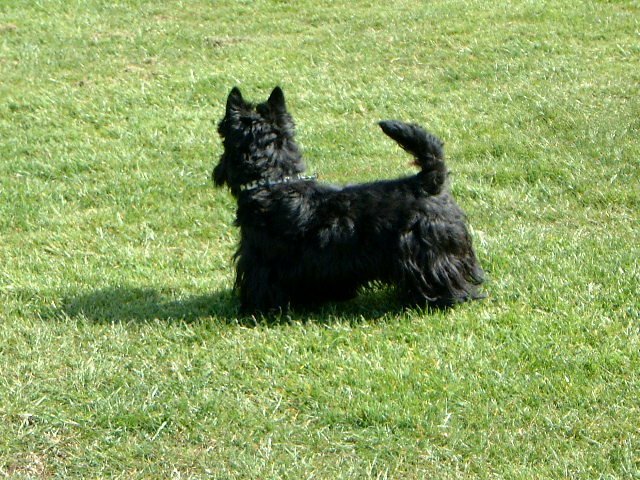 The Scottish Terrier is ever vigilant and is ideal for an owner who wants a consummate watch dog, always on alert for danger. And despite its diminutive size, the powerful little Scotty even provides a bit of protection ability, albeit nowhere near on par with a Rottweiler or Pit Bull. One should be careful about visitors who are not established as a member of the family as the breed will normally become aggressive if it perceives a threat against its owner. 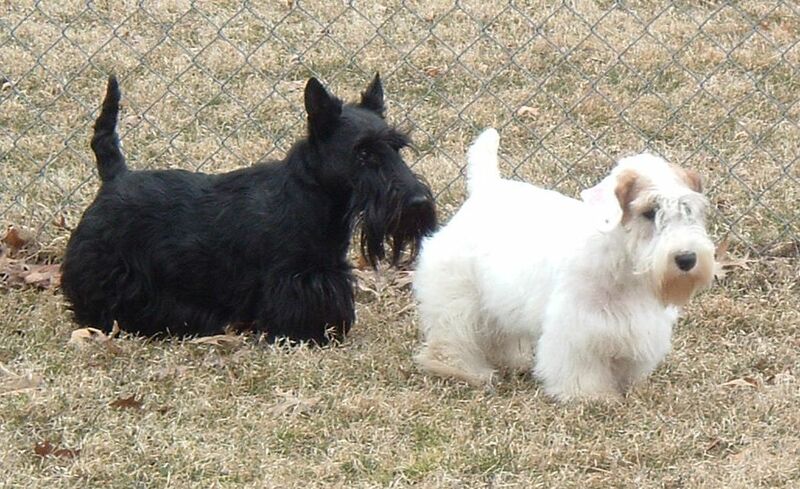 Other personality quirks of the Scottish Terrier include a habit of becoming more attached to one member of the household over the rest, and a tendency to become the dominant pet in the house. The dog needs daily exercise and enjoys a chance to roam and explore off the leash. A regular brushing is important to maintain the consistency of the coat and to remove any loose hairs in the undercoat. The coat is prone to tangles and rats, especially if it is left unbrushed for long periods of time. The coat is very hard and will require an appropriately stiff brush. Notable health concerns for the breed include craniomandibular osteopathy, von Willebrands disease, cerebellar abiotrophy, patellar luxation and Scotty cramp. 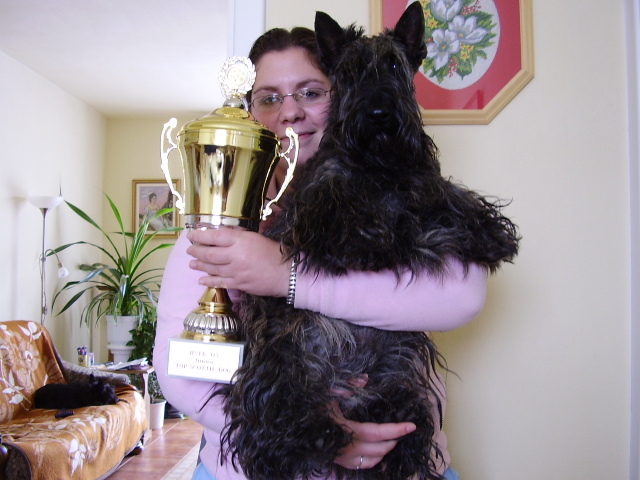 Historically, any terrier tracing its lineage back to Scotland was commonly referred to as a Scottish Terrier; and in the late 19th century, this custom led to a slew of Yorkshires, Skyes and other terriers winning at dog shows under false pretenses. This greatly annoyed the people of Aberdeen, who felt that the dog they had long bred and that was then known as the Aberdeen Terrier ought by right to be called the Scottish Terrier. 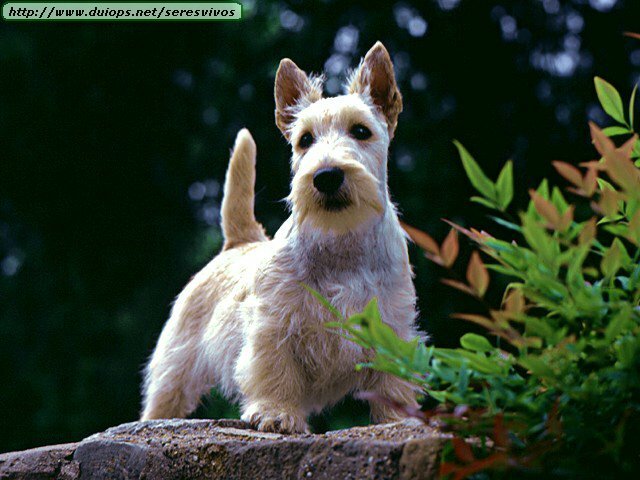 A series of protests finally led to the drawing up of a definitive standard in 1880, after which time only the terrier from Aberdeen could be called the Scottish Terrier.The Scottish Terrier was brought to the United States in 1883 and recognized by the American Kennel Club in 1885. The dog enjoyed modest popularity in America until 1933, when Franklin D. Roosevelt (and his beloved Scotty, Fala) was elected president and the popularity of the Scotty really took off. 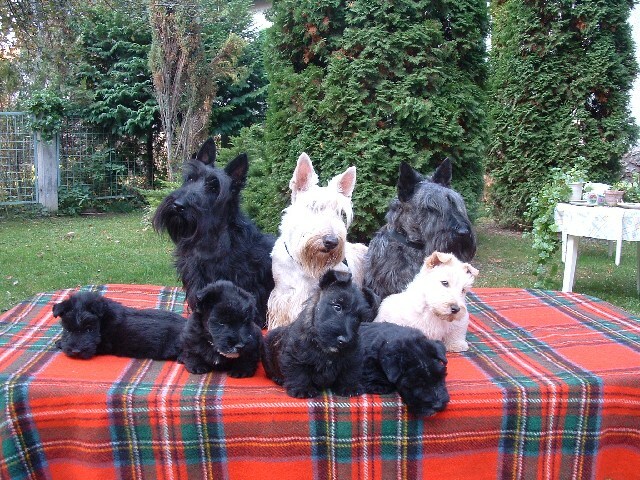 To this day, the Scottish Terrier remains a very popular breed, both at dog shows and as a member of the family.